There is quite a bit of street parking, as well as a free public parking lot 1 block away on South Liberty Street. 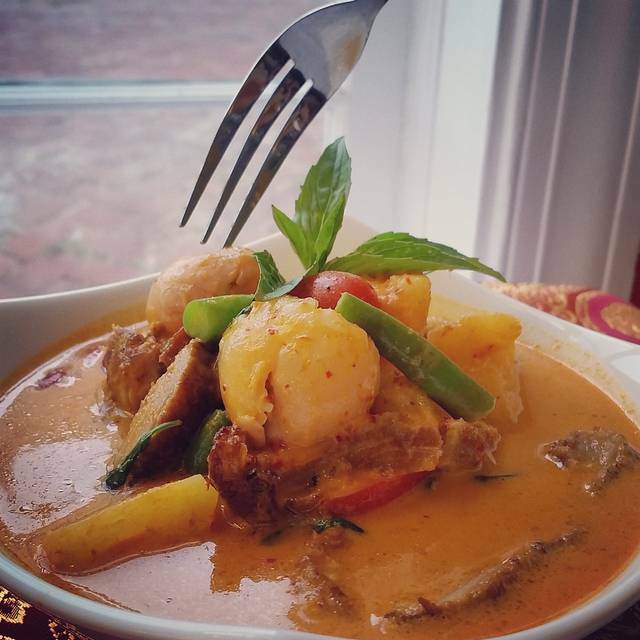 Best Thai Kitchen is a family owned, small restaurant in Middleburg VA that serves delicious Thai food. We are casual, friendly, and we really do care about making your meal with us an enjoyable and authentic Thai experience. Three sisters prepare every dish and serve it up from mild to Thai spicy. Many people love Thai food because of its combination of sweet, sour, and salty flavors. We are delighted to be serving up our unique dishes and to be a part of Middleburg. We have all the classics, Pad Thai, Ka Prao, Fried Rice, Panang, and we also have several specials including a House Eggplant, Crispy Noodles, and an amazing Crispy Duck. At Best Thai Kitchen we serve everything Thai style (this means as soon as the dish is ready we bring it to your table) and we encourage our guests to share everything. Fried rice and pineapple mixed with chopped garlic, sliced onions, carrots, peas, and cashew nuts. Delicious with shrimp! This is a Hidden Gem in Middleburg! We stopped through coming and going on our trip because it was so good. One of the owners Maggie was very personable, the rest of the staff was very friendly, the food was amazing, the atmosphere was great. I highly recommend it! Plus the bathroom was immaculate and that's very important. We love this gem in Middleburg. 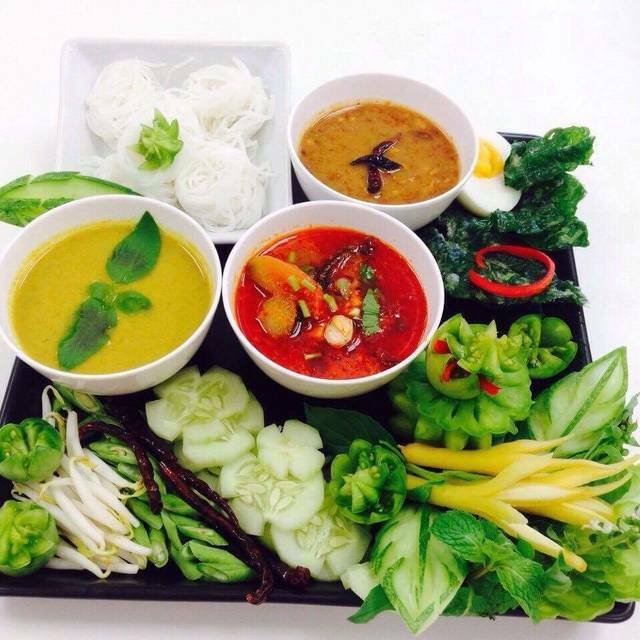 The Thai food is freshly prepared and they can make it to your liking. My 9-year old asks to come here on a regular basis. True neighborhood gem - the food and service are excellent. We eat here regularly since they opened. The food is fresh and taste delicious. We highly recommend their specialty- duck. Piping hot delicious and authentic Thai dishes - from steamed dumplings to crispy duck basil,and the glorious sweet and sour chicken - kept coming put of the kitchen and each was wonderful. The pride taken in the food is evident, even on a slow rainy night. Cute, spotlessly clean and very cheerful casual dining spot turning out high quality food. Great experience overall. Food was delicious and authentic. Service was great! Would definitely recommend for anyone living in or visiting Middleburg! Very good food. They will prepare it as you like it. The food was good, but, a little too spicy. The service was excellent! Very plain decor, but clean, and comfortable. I wish this place was closer to us. Some of the best Thai food I've had in Virginia. The papaya salad and vegetable green curry were delicious. Some of the other reviews commented on the temperature inside the restaurant. They did have space heaters setup so we were comfortable. 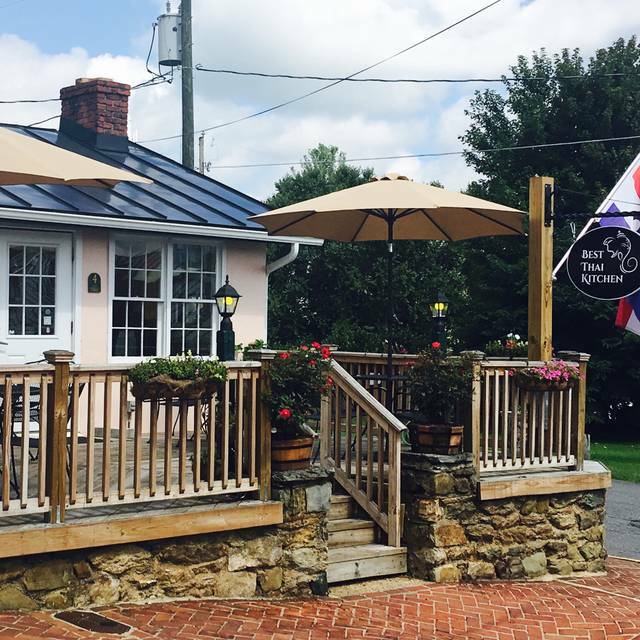 Sweet little gem of a restaurant in Middleburg, just off the main street. We were there for the Middleburg Parade, and the restaurant did the best they could considering the crowds of hungry people. Our food was good and I'm sure on a less busy day things would have been even better. The host was super friendly and we look forward to another visit. I had lunch with my new boss and it was a great setting. The amount of food was great and tasted great. It was perfect for a quiet lunch. Good food. Good presentation. Good size serving(small so got to taste everything). Very friendly service, pretty but casual ambience, very good food except for seafood pad thai, in which the seafood was "fishy". This was the 2nd time in 3 days we went to The Best Thai Kitchen....it was so wonderful the first time around. Again, food and ambience were great....but it was Saturday night, and very busy. Service lagged a bit; one person's entree arrived about 8 minutes after the rest of us; when I asked for more sauce the wait person pleasantly agreed, but then forgot. Nonetheless, we could see they were trying, were very busy, and were pleasant and smiling all the while. Drinks and appetizers arrived easily on time. We'll go back again! Very fresh, authentic and delicious! Friendly wait staff. Excellent service. We have dined here twice with friends and the food was outstanding on both occasions. We are certainly going to return many times. Great little place. Jamie (owner) was very gracious and went out of her way to ensure we had an enjoyable experience. Excellent new option in Middleburg. Good food, excellent service and really comfortable environment. We had a great lunch! My favorite place in to eat in the area.Owner is delightful , accommodating in menu, seating etc. waitress was wonderful. Food is quite good and they really want you to have a great dining experience. Food was average. No alcohol permit yet. Had run out of certain items on the menu and it was only mid afternoon. Probably will not return. Best Traditional Thai food I have had since working in Bangkok. The owners were so nice and welcoming. Service slow...food good and well presented...loud. liquor license will help. I discovered this place online while researching a place to dine that was more casual for Mother's Day. What a great find it was. The food and service were top notch. I have traveled to Thailand many times and the food was very authentic. Will definitely be going back. They did not have an ABC permit yet, so no alcohol was available. They will have it soon. Highly recommend. My husband and I met two of our friends for dinner at Best Thai Kitchen. The service was wonderful! The dinner portions were generous. We definitely will return soon. Only open for 3 weeks! We ordered Drunken Noodle and Ginger Delight- delicious! Beautifully fresh ingredients perfectly balanced. Will be back soon and often. Very personable and friendly hosts. One suggestion: the lighting for an evening meal was too bright and a bit harsh. Feels like things will evolve as business grows. Best of luck to Best Thai Kitchen.